In the fall of 1965, West Point cadet Tom Carhart and five of his classmates from the U.S. Military Academy pulled off a feat of extraordinary ingenuity, precision, and raw guts: the theft of the billy goat mascot from their rival, the U.S. Naval Academy at Annapolis, just before the biggest game of the year. The U.S. forces in Vietnam were then at two hundred thousand and growing, and the men in West Point's class of 1966 were well aware that they would serve, and quite possibly die, in that far-off war. But West Point's motto, 'Duty, Honor, Country,' affirms that its graduates will obey the decisions of our elected government, and the men of '66 were dutiful: of the 579 who graduated, 30 died in Vietnam, and roughly five times that number were wounded. Since this would be the men's last Army-Navy football game as cadets, they wanted to go out with a bang, not a whimper. 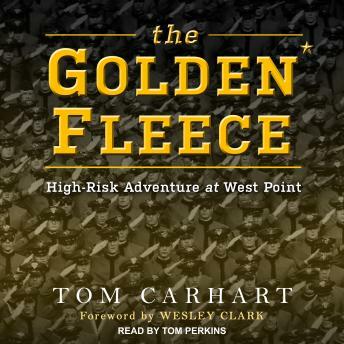 Carhart tells the incredible true story of how, in stealing that Navy goat, the cadets unknowingly reenacted the story of Jason and the Golden Fleece from Greek mythology. The caper is interwoven with an insider's narrative about the private lives of six West Point cadets in the early 1960s, who, against all odds, hurled their last hurrah of triumph to America before flying off to fight the war in Vietnam.